I Installed the three AAA batteries supplied and tried it out. A simple switch gives two options ... a double white LED or a single red LED. The white light is easily bright enought to light an unfamiliar path to and from the river, while the single red light is easily bright enough to change a fly, with minimal detriment to night vision. 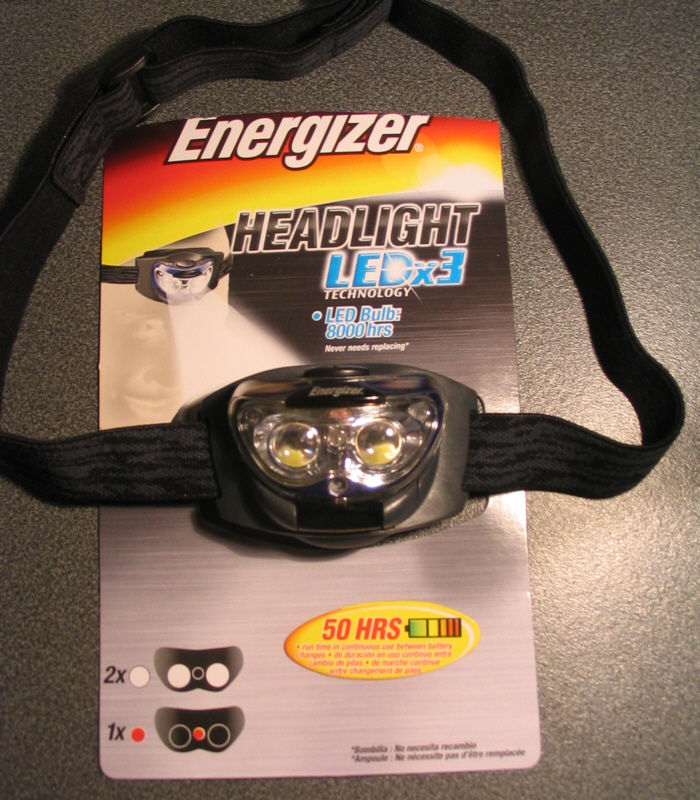 I have never been a fan of headlights, preferring my trusty Infinity Ultra LED torch strung around my neck, but thought this worth a try at £7.99. On trying it out, I found the light very effective, easy to operate and as comfortable as I imagine most headlights would be. However, feeling that the light might become uncomfortable after a few hours fixed on my head, especially if worn under a hat, I tried it around my neck ... a bit like an illuminated bow tie ... and found it very comfortable, providing a perfect light for changing a fly, with the option of slipping it up and around the head when walking. With a stated 50 hours of continuous light between battery changes, this seems like a very worthwhile purchase.